Click here for a large, higher resolution image of Danbury craftmanship. 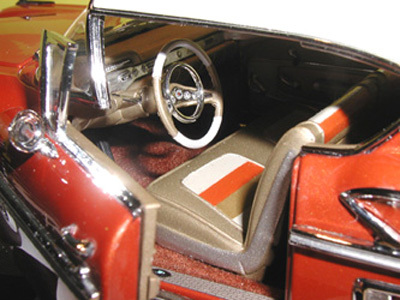 This model features opening doors, hood, trunk and operating steering. Skirts are removable. 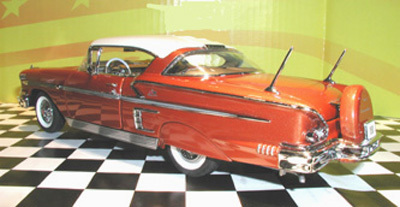 It features a precision detailed interior and 348 V-8 engine compartment. Fit and finish reflect Danbury's commitment to improvements with every new release... even with re-paints. 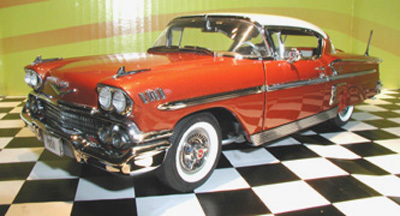 And you don't have to buy the black '58 convertible to get one here.